Paul and I have a few favorite cocktails that we will enjoy together. 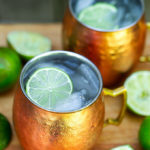 This one is the classic Moscow Mule Cocktail. Made with vodka, ginger beer, and lime. This is a refreshing cocktail that is light and refreshing! Ah Summer! It has finally arrived, and I want to celebrate! 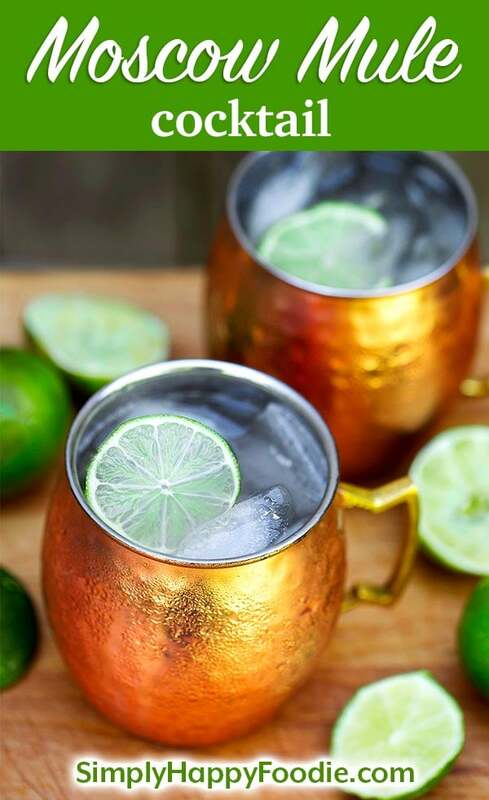 This sparkling, zesty Moscow Mule cocktail is just the most delicious cocktail to sip when you toast in the warm season. Paul and I have been known to sit out on the back veranda (AKA square of concrete) and enjoy the peppery-gingery goodness of this Moscow Mule while we watch the chickens and our Pug Gizmo peck and strut and sniff all over the back yard. Only 3 ingredients, but the right types and amounts will assure you have the most tasty Moscow Mule Cocktail. Don’t forget the copper mugs! 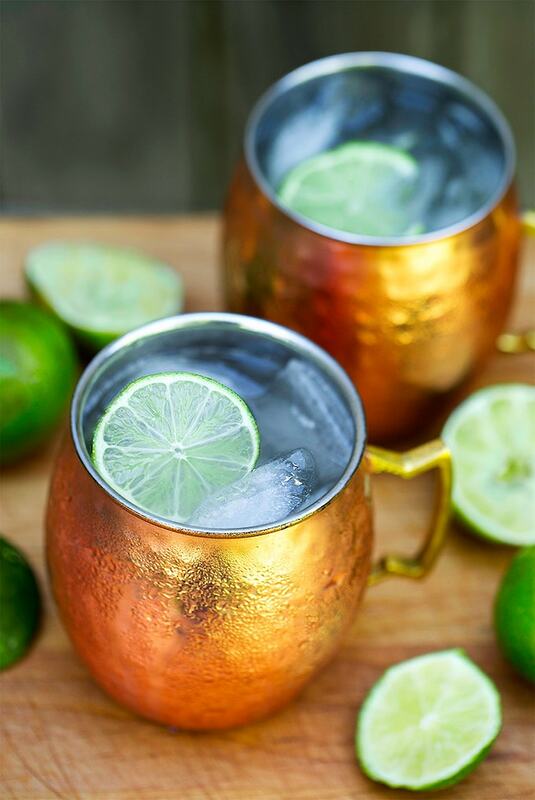 It’s fine if you don’t have copper mugs, the Moscow Mule cocktail is just as good served in a pint glass. First you will need vodka. We like Skyy or Grey Goose, but truth be told, we bought the Kirkland brand from Costco and it was excellent for this cocktail. More affordable than the name brands (though we only buy those when they are on sale). Oh, have you tried keeping your vodka in the freezer?! It won’t freeze solid, it just gets really cold and thickens to a simple syrup consistency, and icy cold vodka is so much nicer. We also keep our gin in the freezer. Next you will need some Ginger Beer. This is not actual beer, though there are alcoholic versions of it. I tasted several brands and didn’t care for them. For me there is only one brand of Ginger Beer that I like in my Moscow Mule, and that is Fever Tree Ginger Beer. It has no alcohol, is made from 3 kinds of fresh ginger, and is lightly sweetened. It has a punch of spicy, kind of peppery ginger flavor that hits the back of your throat, and it is wonderful! I even drink it as a soda when I don’t want a cocktail. The final ingredient is lime. Use fresh squeezed, and it will take this drink to the stars! Also, use a full mug of ice so it gets nicely chilled. Most mixed drinks need some water, and melting ice is usually enough to do the trick. Please make this and let me know how you like it! Cheers to Summer! Slightly sweet, gingery, and refreshing, this Moscow Mule cocktail is a delicious classic! Don't forget the copper mugs! Fill a copper mug, or pint glass with ice. Measure and add ingredients as listed. Stir well and serve immediately.